Available on request with matching plastic pouch to save space when stored. Quality files for industry and trade in a protective and climate-resistant PVC pouch for storage in a toolbox or on a workbench. Each file comes with an ergonomic file handle. 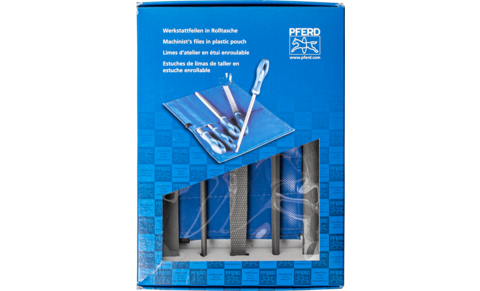 PFERD also provides the plastic pouches with files that are 200 and 250 mm in length in attractive packaging with a transparent window.